Why Choose Lee Reed Insurance? Lee Reed Insurance is here for you. We have been serving the citizens and businesses of Central Florida since 1946. We are known for outstanding service and unquestionable ethics. Our agency has been built on honest, long-term relationships. We are an independent agency. Lee Reed Insurance is your hometown agency for your insurance needs. Exceeding your expectations is our top priority. 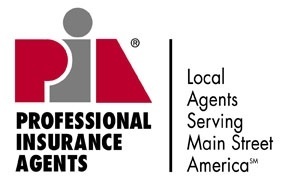 This is why we are an independent insurance agency representing many different insurance companies. We are able to check with multiple carriers to find the one that provides the broadest coverage at the best price. We believe in old fashioned, neighborly customer service. At Lee Reed Insurance, we are committed to treating you with kindness and respect while helping you find the insurance coverages best suited to your individual needs. Our staff is here for you, offering personalized advice with integrity and honesty. We believe insurance is more than just a job - it's our chosen profession, and we take the responsibility of offering protection for you and your family very seriously. Our customers say they like the fact they can talk face to face with someone. They like the warmth received from our dedicated staff when calling or stopping by the office. They tell us they feel good about being insured with a local agency that has served their community since 1946. Personal service makes all the difference. We have helped our community through countless hurricanes, tornados, fires, and personal losses. When the unexpected occurs, having a neighborhood insurance agency to stand by your side through your claim process is value that can't be bought with big corporations that handle policies solely by phone and the internet. When the internet first began to take off in the late 1990's, everyone thought it would be the end for "brick and mortar" outfits like ours; however, we found that people preferred our old fashioned, face-to-face kind of service, and our agency is still going strong. The personal relationships formed between our customers and our staff is a very important part of our business. We understand your needs and concerns because we live and work in your community. We are not just a stranger on the phone. So, to our existing customers…thank you for the trust you have placed in us and it is our sincere hope that you will continue to allow us to serve and protect you and your family. And, to potential customers, we look forward to earning your trust and exceeding your expectations in providing for your family's insurance needs.